Bring the look of the outdoors inside with the natural, rustic patterns of the Wood Textures Suite. New in the 2017-18 Stampin Up Catalog that comes out to customers June 1, available to demonstrators now (click here for details). Check out this suite on my last pre-order haul video last week, along with some more fantastic ideas made with it. Click here for the video. 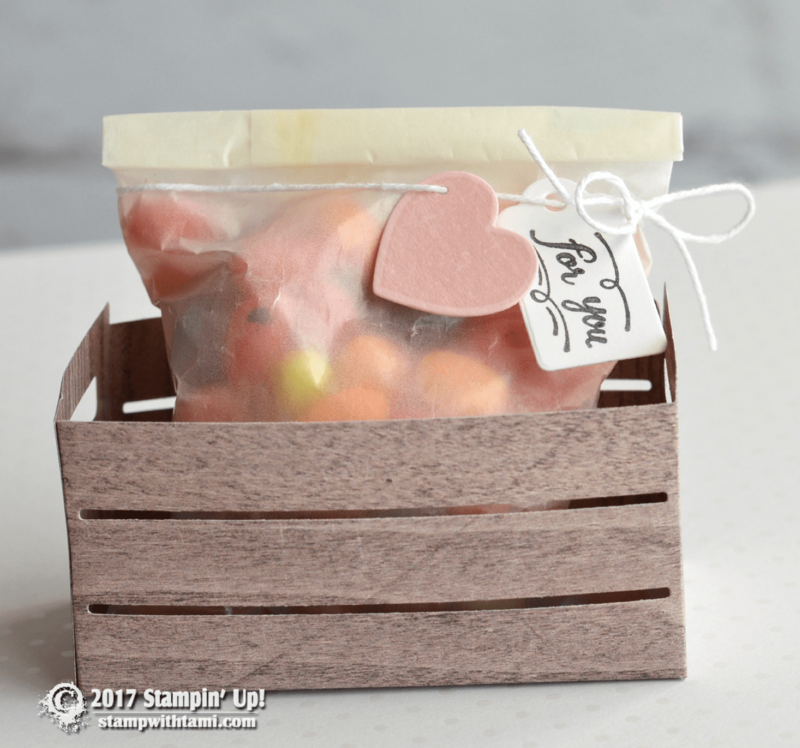 The crate gift box was created with the Wood Crate Framelits die, and the heart and tags also come in the set. The “For You” words are in the coordinating Wood Words stamp set. The apper used on the crate is the new Wood Textures DSP. Learn more about the Stampin Up Pre-order, how to get new products and the new catalog. See new pre-order products and projects and more. Click here. Still some great products left, but only for a few more weeks. They will all be gone on May 31. Click here to see what’s on sale.